DO NOT SETTLE ON SKYDIVING JUST ANYWHERE. 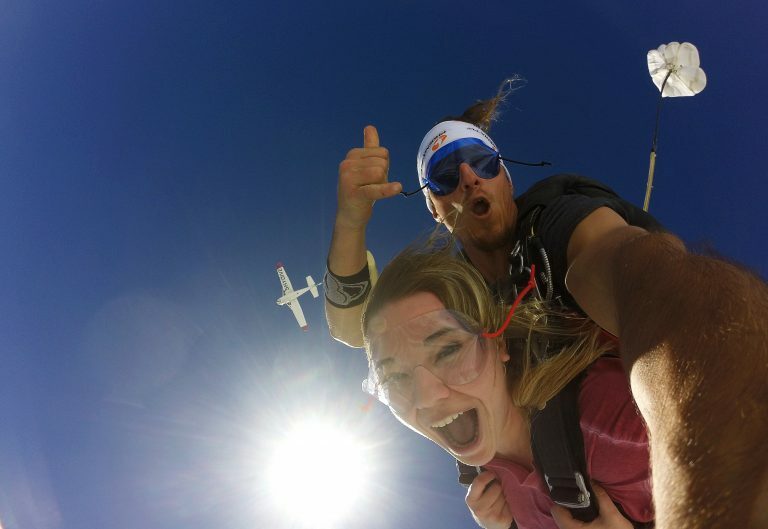 SKYDIVING IS A JOURNEY TO BE SHARED WITH LOVED ONES IN AN UNFORGETTABLE SETTING. WE DELIVER BIRD’S EYE OCEAN VIEWS & SUNSET PARACHUTE LANDINGS ON THE BEACH! We are the closest Skydiving Center to Pensacola, Mobile, Gulf Shores, & Orange Beach! We deliver the ONLY Ocean Views of the Gulf of Mexico in the region! Why would you Skydive anywhere else?! Skydive the Gulf has the Ultimate Tandem Skydiving Package! Experience your Skydive during a stunning Gulf Sunset followed by a BEACH Parachute landing at the infamous Flora-Bama Lounge and Beach Bar! Morning Beach Skydive - Parachute Landings On Orange Beach! Save your Coffee Grounds For Another Day! Let's Skydive Onto The Beach! Join Us At The Closest Skydiving Center to Pensacola, Mobile, Gulf Shores, & Orange Beach! Experience The BEST Ocean Views of the Gulf of Mexico in the region! There is no reason to Skydive anywhere else? !